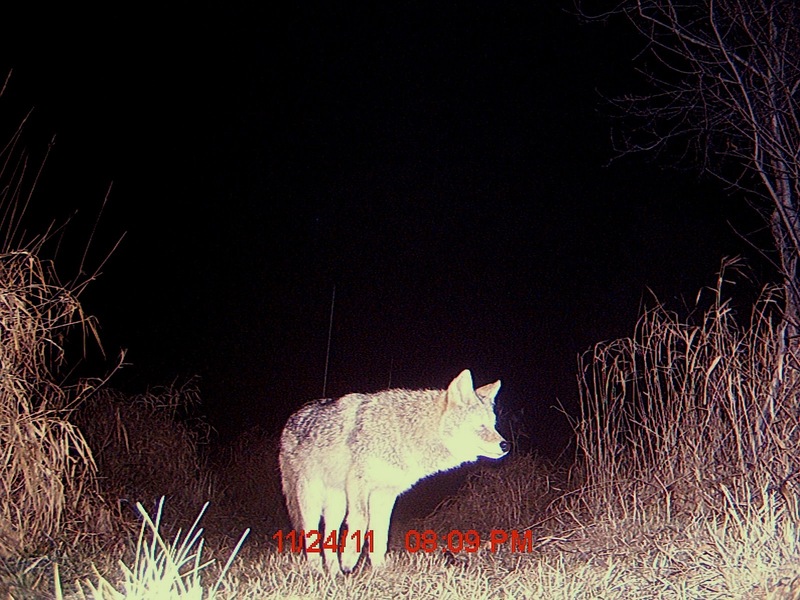 Trailcam reveals coyote, deer, beaver and even snow. 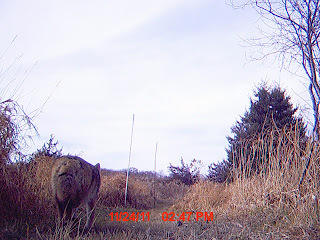 Here's a collection of recent trailcam shots. These are just the highlights. There were many more. First up is this daytime shot of a coyote from back on November 24th at 2:47 in the afternoon. Later that night at 8:09 pm another coyote, possibly the same one, took the same trail back. 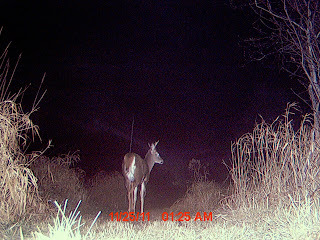 Not too surprisingly there were lots of deer on the camera. It was placed on a narrow strip of land between two lakes where wildlife is squeezed into a bottleneck. There is a whispy cloud in this photo near the deer's head (click to see it larger.) I'm really curious if this is a wisp of ground fog moving between the two lakes or fine clouds forming from the warm breath of the deer on the cold night. There was another photo with a cloud very near the ground by the camera and a deer looking into the camera. This last photo is cool for a couple of reasons. That large wet lump on the right hand side is the back end of a beaver. 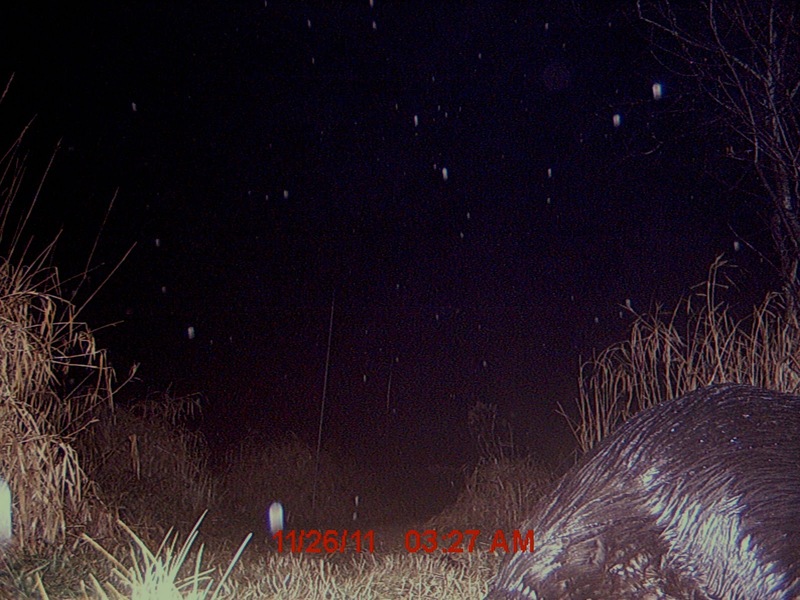 The beaver is the real reason we had the camera up in the first place. This photo tells me that we had the camera too close to the beaver trail and also that they are really quick when they scamper from one lake to the other. We caught the back end of the beaver going in both directions that night. The other cool thing the camera piked up was the snow. November 26th was one of the first snows of the year and we never would have known it had we not captured photos that night. There was no trace of the snow by morning but it appears to have snowed for about an hour from 2:30 to 3:30 am.